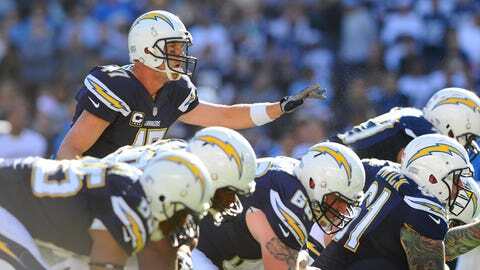 The Chargers have to win against the Chiefs and get losses from the Ravens and Dolphins to make the playoffs. KANSAS CITY, Mo. — Five observations on the current state of the Chiefs. We’ve spent a lot of time this week pondering how much Chiefs coach Andy Reid will rest his starters, and we’ve also wondered just how interested any of the Chiefs will be in playing hard Sunday against the Chargers. The Chiefs, as everyone knows, are locked into the No. 5 seed and simply are waiting to learn where they’re headed in the first round. There’s just not much motivation for the Chiefs to bust their tails. There also has been some thinking that the Chargers, who have to win and get losses from the Ravens and Dolphins to make the playoffs, might pack it in as well if they are eliminated from the postseason by game time Sunday. Here’s the thing: I don’t think the Chargers will pack it in if they are eliminated by game time. 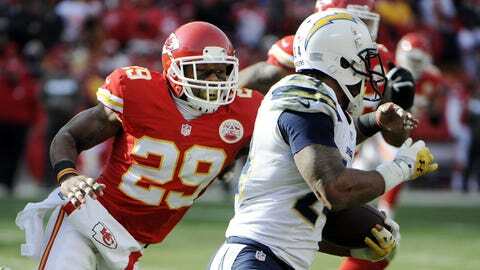 Expect the Chargers to play harder than the Chiefs even if their playoff dreams are dead. They want to carry some momentum into next season. And the Chargers likely also will want the badge of having beat the Chiefs twice this season. There’s a reason the Chargers are 10-point favorites. We probably won’t know for sure until game time Sunday if some of the previously injured Chiefs such as Branden Albert or Justin Houston will get some game reps to knock off the rust. The danger, of course, is either one getting hurt again in a meaningless game, which would be disastrous. Albert continues to talk, sort of, as if he’s going to play Sunday. "I’m ready and I’m preparing like I’m playing," he said. "That’s the goal, to help this team win. If it’s this week, next week or whenever, that’s my goal. "For the last few weeks I’ve been practicing and preparing like I’m going to play. We’ll see how things go." Chiefs offensive coordinator Doug Pederson seemed convinced that Alex Smith would play Sunday, mainly because Smith needs to get his confidence back after last week’s poor performance. That doesn’t mean backup Chase Daniel won’t see playing time. "Yeah, here’s the thing: Alex is going in as the starter," Pederson said. "He’s got to play; we want to erase the mistakes we made in the game last weekend. We have one more opportunity before the postseason starts." In a lighter moment earlier this week, Reid was reminded that he is an impressive seven of eight in replay challenges this season. But when Reid was asked if he’s exceptionally proud of that percentage, he wouldn’t take the bait. "You’re stretching," Reid said, smiling. "I appreciate the cookie there. Yeah, I’m proud of that, I guess. I’m proud of the guys upstairs. I have a lot of trust in them. They know what they’re talking about when they look at those (replays) and evaluate them. "They’re a lot of eyes up there for me. But (tight ends coach) Tom (Melvin) is the one that’s headed it up for us over the years." Defensive coordinator Bob Sutton was asked how it was possible that the Colts had so many receivers running wide open down the field last Sunday. Sutton didn’t really have an explanation and indicated there were no new schemes that Indy tried that he hadn’t seen before. "It wasn’t by design (that guys were open)," Sutton said. "I think there were some individual breakdowns there, some communication, some interpretation of what happened on this route. "Everybody is always going to try to maneuver you and try to make you have to make hard decisions. I don’t think Indy was doing anything that wasn’t anything different than we’ve seen for all of the other weeks of the season there. We just didn’t execute it as well as we would have liked."